We’re not done yet! Martina’s still kicking and book 2 runs through the end of February. And on that note. 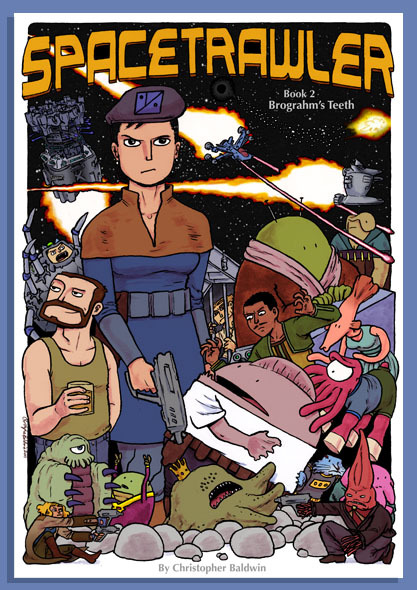 I am raising money to print book 2 through the website Kickstarter by way of pre-orders and other incentives. Help me reach my goal of $7,000! 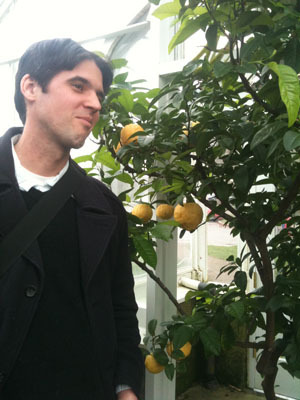 Oh, and we went to the conservatory this weekend. Lemons! I’m loving the cover of Book 2 . . . totally thrilling. Those Eebs may yet pull some horrible practical jokes on each other, just for laughs, and solve the problem of loose, unclamped Eebs in the universe. Who is to tell them that they are not allowed to do so? Oy. You know its an interesting series when its a *bad* thing that a dozen members of an oppressed slave race escape to freedom. Having seen what Yuri can do with only part of an Eeb brain, I’m really not looking forward to seeing what happens when those dozen Eebs reach civilization. Of course, to make sure the other 11 eebs don’t stray from the right path the 12th should clamp them. Great cliff-hanger! But when’s my boy, Demetri, coming back into the picture? 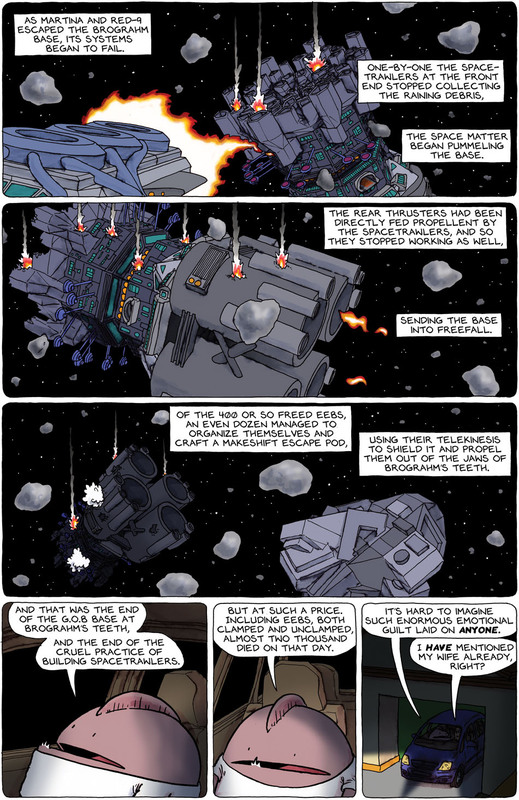 There are effectively 12 spacetrawler engines on that escape pod. Is spacetrawler propulsion cumulative, or do 12 engines only go as fast as one? Hopefully they can’t navigate very well. Mrs. Zorilla must have been quite a woman. @Coyoty: I think it’s been said before that all ships have a single spacetrawler, regardless of their size, so I’m guessing no. Also, the cover hadn’t loaded when I made my previous comment. It is, indeed, awesome beyond words! We need a brass band theme song to go with it. Duuun, daaaa! da-da-da-daaaa da! Thanks everyone! And yeah, I’m pretty proud of the cover for book 2, glad so many are liking on it. @Ukiah, I’d love to, but not sure what my east coast plans this year ARE yet. I can say that at SOME point I will. Oh, and books ordered through the Kickstarter campaign will be signed, if that helps. I would definitely buy a t-shirt with that cover art on it. In a way, Mr. Zorilla reminds me of a more persnickety version of Arthur Dent. He’s in a car with an alien ikthyoid who is relating a huge and tragic galactic conflict to him and still somehow manages to always drag things back to the mundane. And he can bake pastries! @Kevin_Moore, Hahahahahahah ah aha haha hahahaha! Bwah ha ha ha ha hahaha ahaha haahah! It would be interesting to see what the result would be if some of Red9’s created Eebs were raised by the space equivalent of Buddists.